We can pick-up from any location in Santa Barbara, Montecito, Goleta, Buellton, Solvang, and Santa Ynez. When you make your reservation we will arrange pick-up and drop off from your hotel, residence, Amtrak train station or wherever you'd like! Tours last between 5-6 hours. Pick-up from Santa Barbara, Montecito & Goleta is10:30am. Pick-up from Buellton, Solvang and Santa Ynez is between 11:00 & 11:30am. Drop-off is between 4:30 & 5:30pm depending on the flow of the day. We do not have a set route. We customize each tour. We work with over 25 wineries check out the list here. 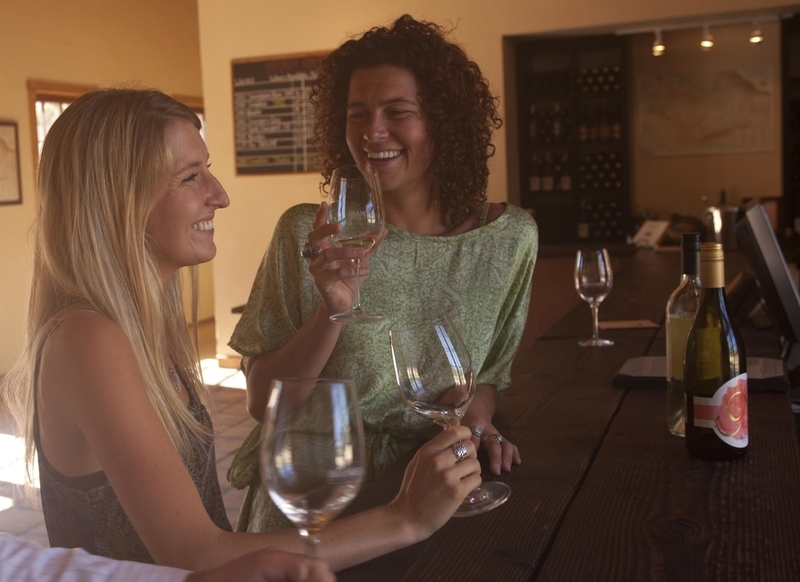 Can we go to wineries that are not on your list? Yes, but we do not include tasting fees for wineries that are not on our list. Our tours include a gourmet picnic lunch at one of the wineries. We can accommodate most dietary requests. your lunch order will be taken on the day of the tour. Can I bring my own food & drinks on the tour? We don't allow food or drinks (besides water) to be consumed inside the vehicle. We like to keep our vehicles clean just for you! Please be advised that California law strictly prohibits the consumption of alcohol inside a vehicle. What do I do if I want to cancel the tour? We understand things happen and plans change. We would be happy to cancel your tour at anytime. Please notify us 72 hours prior to the tour in order to receive a full refund. Cancellations made after that will result in forfeiture of the full amount. This includes, but is not limited to change in group size. No Exceptions. Groups Larger than 7: Notify us 10 days prior to your tour to receive a full refund. This includes change in group size. Cancellations made after that will result in forfeiture of the full amount. Please note: our shared wine tour may be cancelled if less than 4 people are booked on that day. Hot Air Balloon: The same cancellation policy applies. 72Hrs to receive a full refund. Will tours be cancelled due to weather? Our wine tours operate rain or shine! Hot Air Balloon flight is subject to weather and will be cancelled if weather does not cooperate. In this case you will not be charged. Give us a call! It depends on our availability for the day. Do you run tours on holidays? New Years Eve, New Years Day, Easter, 4th of July, Thanksgiving, Christmas Eve and Christmas Day. Yes! You may choose any dollar amount or pick a specific tour you would like to gift. Gift certificates are great birthday, wedding or anniversary gifts! They are also a great way to say thank you! Please note: We charge 18% minimum gratuity to all tours. looking for a place to stay in santa barbara? For your safety we are members of California's Employer Pull Notice Program, which requires random alcohol and drug testing of all of our drivers. We are also in compliance of the California Public Utilities Commission, TCP: 31705-S.